When you feel tired or sluggish in the afternoon, it can be tempting to grab a cold soda to perk yourself up. Certain components of soda enter the brain by crossing the blood-brain barrier, allowing them to affect your brain activities. Caffeine, sugar and artificial sweeteners affect your brain in different ways. A common and often desired effect of soda is to increase mental alertness. A chemical called caffeine blocks activity of the neurotransmitter adenosine. Under normal circumstances, adenosine increases tiredness and decreases physiological arousal. Caffeine inhibits this activity, causing an increase in mental alertness and reduced blood flow. Caffeine also promotes the release of dopamine, a brain chemical that increases feelings of pleasure. Drinking soda can disrupt your sleep and cause your brain to trigger several physiological responses, including increased heart rate, higher blood pressure and reduced blood flow to the digestive system. 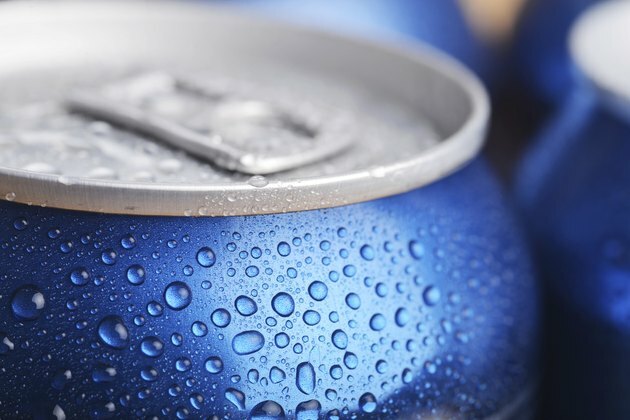 Over the long term, drinking soda can cause brain changes that make you addicted to caffeine. Regular soda contains high levels of sugar, which affects your brain in several ways. According to Scott Olson, a naturopathic physician and author of "The Complete Guide to 30 Sugar Free Days," a diet high in sugar decreases levels of the chemical brain-derived neurotrophic factor, or BDNF. Studies in animals have found that low BDNF levels cause poor performance on spatial and memory tasks. This suggests that a diet high in sugary soda may negatively affect your cognitive abilities, although further research in humans is needed to support these claims. Diet sodas contain artificial sweeteners to decrease sugar content while maintaining a sweet taste. Common artificial sweeteners include aspartame, saccharin and sucralose. Artificial sweeteners also affect the way you think. Xiao-Tian Wang, a researcher at the University of South Dakota, found in a 2010 study published in "Psychological Science" that drinking soda containing artificial sweeteners increases the likelihood that you will choose a smaller short-term reward in favor of a larger reward in the future. This research suggests that artificial sweeteners affect your brain's ability to make decisions. Drinking large amounts of soda may affect your brain health and alter your risk of certain diseases. Naturopathic physician Scott Olson says that several scientific studies suggest that a high sugar diet may increase your risk of schizophrenia, depression and anxiety, although large-scale clinical trials are needed to investigate these claims. Most people can drink a small amount of soda as an occasional treat, but its sugar and calorie content mean you should not make it a regular part of your diet.